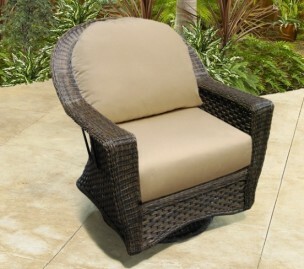 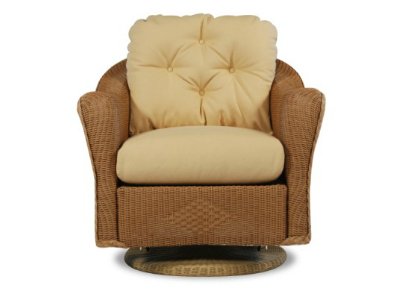 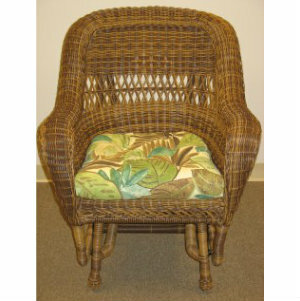 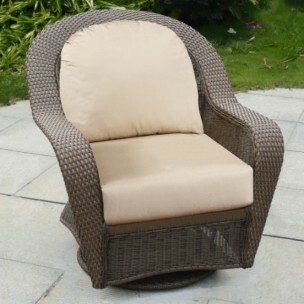 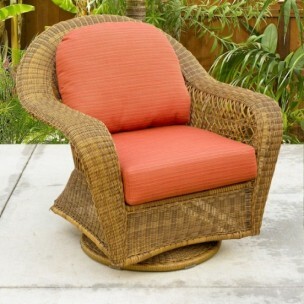 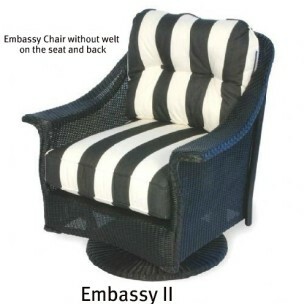 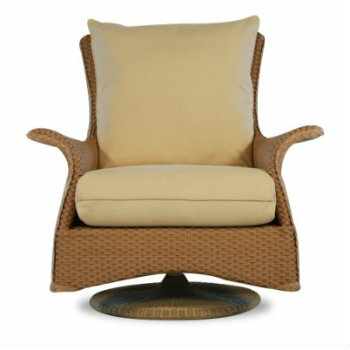 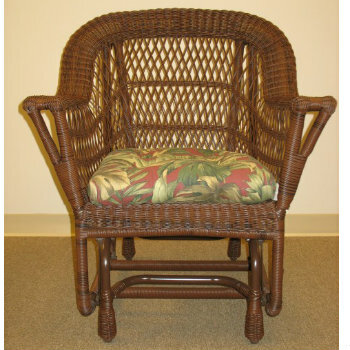 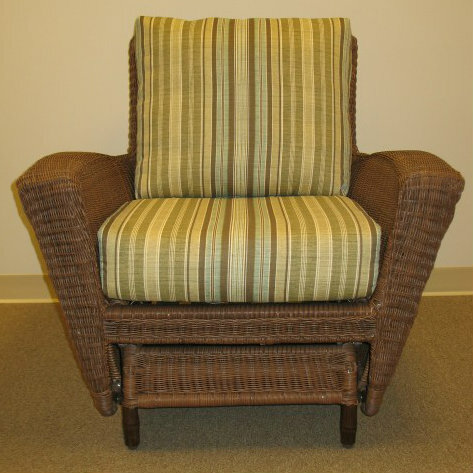 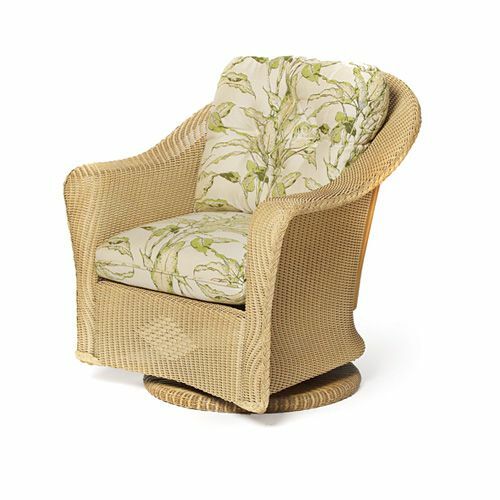 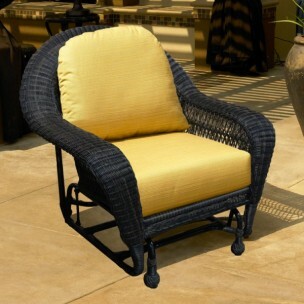 Wicker Cushions On Line offers replacement cushions for Lloyd Flanders, North Cape International, Chasco Designs, as well as standard sized cushions that fit most wicker chair gliders. 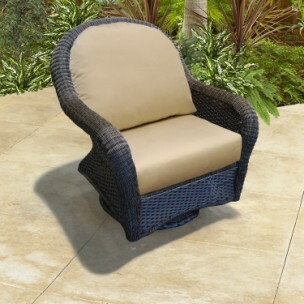 Our deep seating cushions feature densified fiber flow through foam cores and loose poly filled backs for extreme comfort. 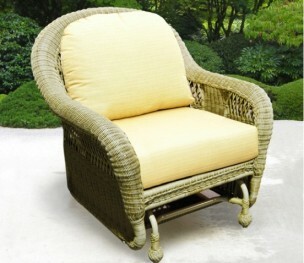 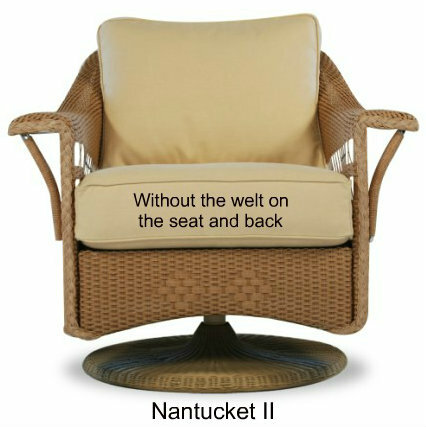 Our smaller wicker cushions feature poly filled cushions with matching covered buttons. 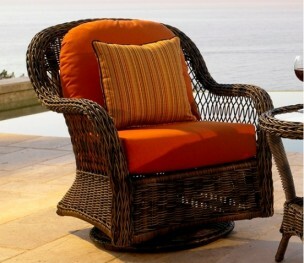 Choose from nice selection of outdoor fabrics to match your decor. 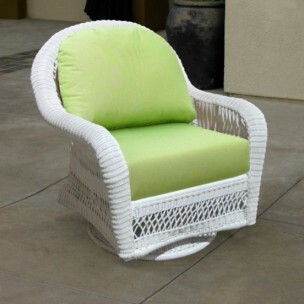 Each cushion has the dimensions listed. 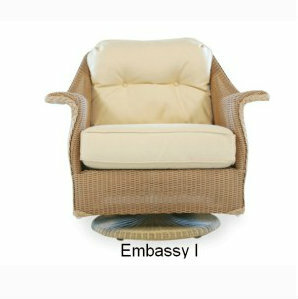 Please double check your furniture measurements to be sure you are ordering the correct cushion. 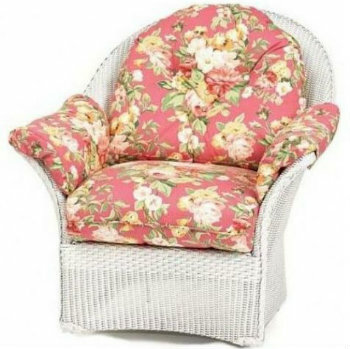 Its important to measure the furniture rather than the old cushions when checking the size, because the old cushion has probably flattened out some. 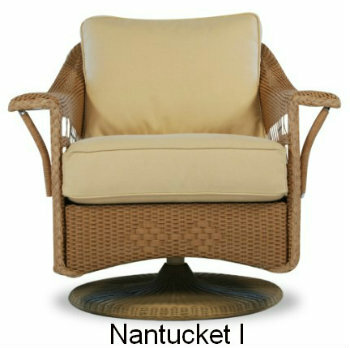 If you have any questions about sizes please call.